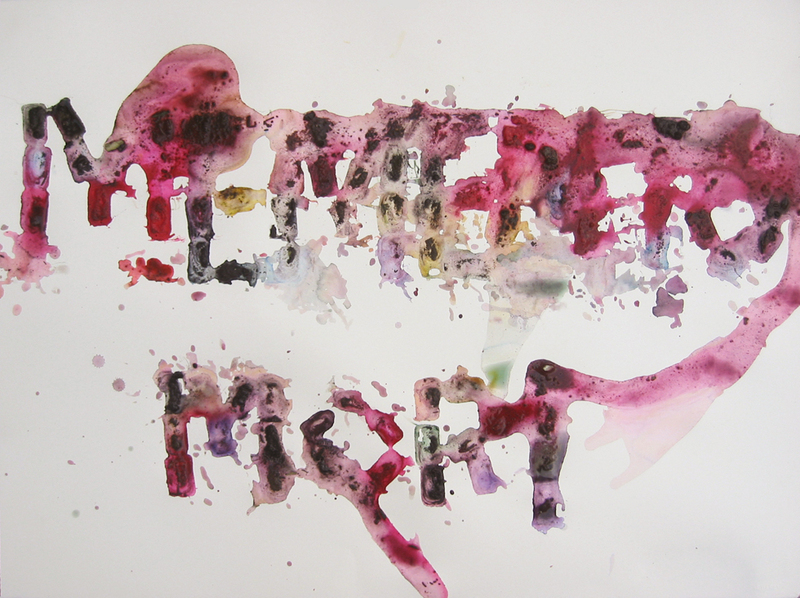 Pigments, soot, soil, salt, and projection on Arches paper (56x76 cm). 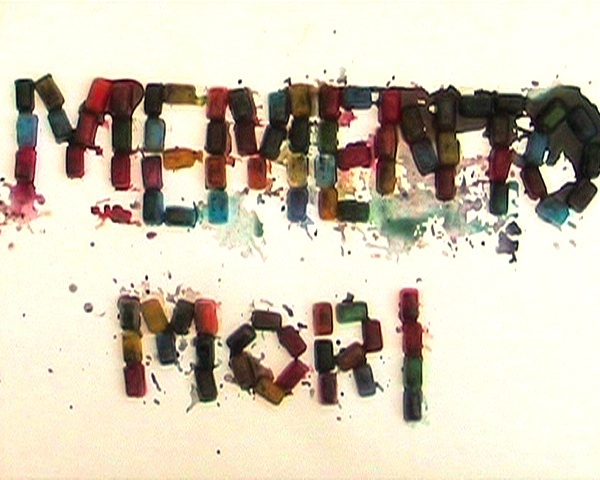 Ice-cubes filled with pigments were used as a drawing material. Video footage documented the process of multi-colored ice cubes melting on a sheet of paper. 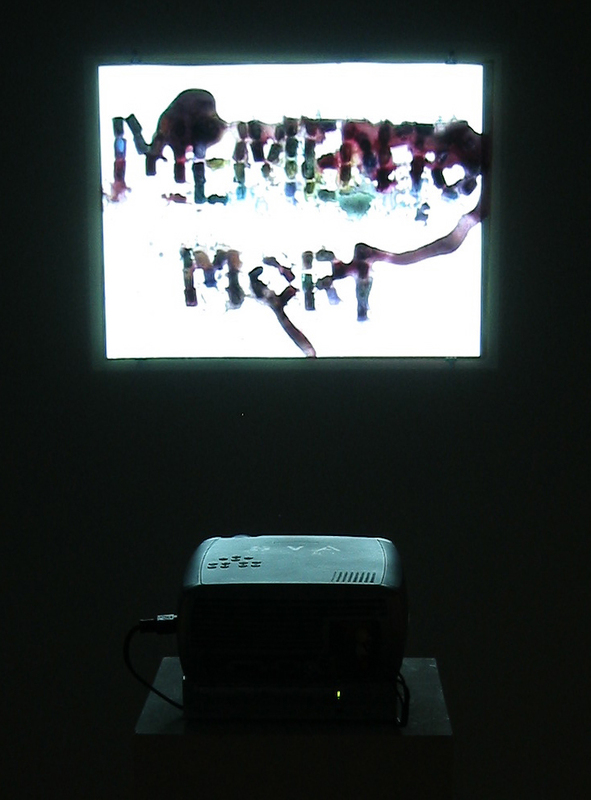 As the ice changed from solid to liquid state, pigments were released to create a painting that became the surface upon which the video was projected.